This is a site for cards but my original paintings are also available. Prints of original paintings are also available. Contact me for prices of original paintings and prints! 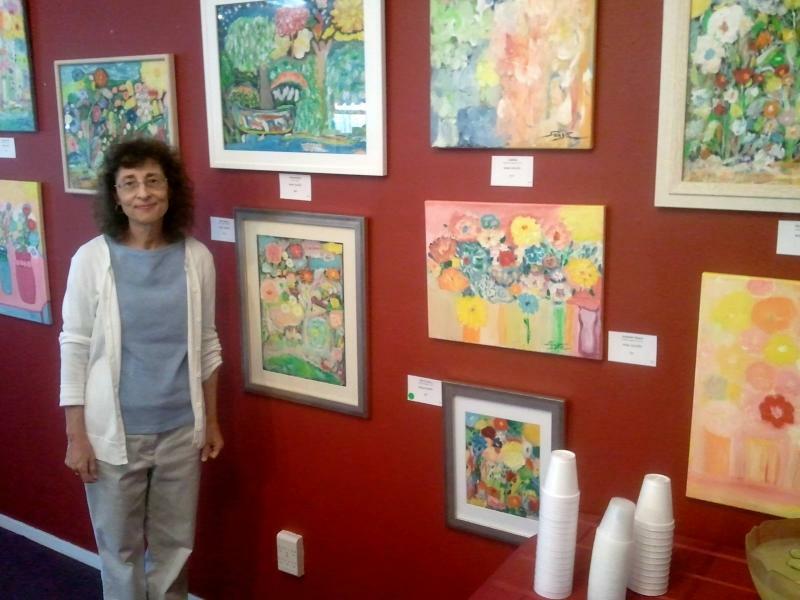 I have been painting for over 20 years and have exhibited locally and nationally. I am a native of San Antonio and my art is inspired by nature, music, family, faces and the Hispanic culture. The use of striking colors pierces my work to capture the whimsical side of life. I started playing the violin at age 8 which has been a big influence on my work. My pieces have been featured on the covers of national magazines such as American Recorder, Southwestern Musician, Music Educators National Conference, and The Poet. I also do commission work for nonprofit organizations. Click on tabs on left. 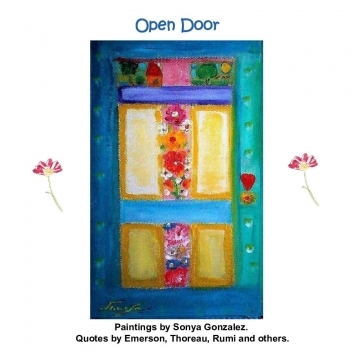 Published books by Sonya at Bookemon.com. ﻿May 2016: I was selected to be listed in the Art in America Guide to Museums Galleries and Artists by the Gentileschi Aegis Gallery Association. Nothing can be accomplished independently. I cannot express enough how grateful I am to relatives, friends and mentors for their support and guidance. 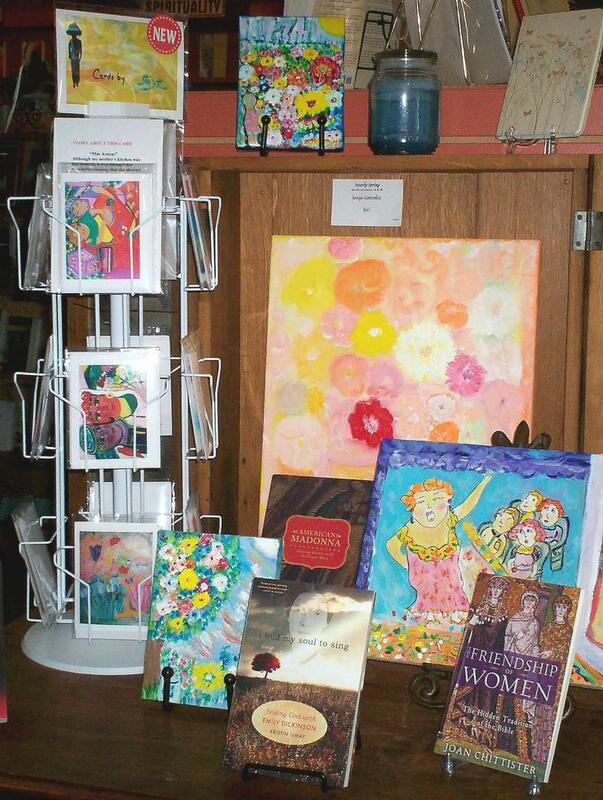 (Left) Card Display at Viva with Sonya's Paintings and books by Emily Dickinson, Alice Walker. All images Copyright 2013 Sonya C. Gonzalez. All rights reserved.